The Sydney office market is bottoming out and is expected to record positive rental growth in the coming year according to CBRE's latest Global Office Rent Cycle report. The global report highlights that the majority of the major office markets survey are in an upswing cycle, with take-up being led by the tech sector. 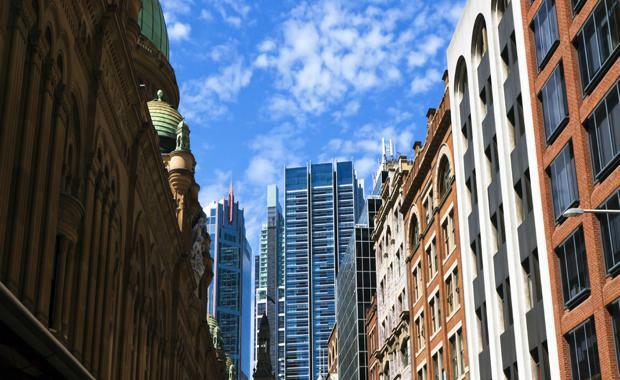 CBRE Senior Director, Office Services, Jenine Cranston said the Sydney CBD market had experienced a 21% increase in enquiry volume in 2014 and, notably, a marked increase across all tenant size sectors. "Encouragingly, the market also saw a healthy jump in the number of deals transacted during 2014, with deal flow increasing by close to 20%. This affirms the more positive sentiment in the market, with far more genuine engagement, which has carried over into 2015," Ms Cranston said. "While the large tranches of space are due to come on line in 2016, the effect of this is being tempered to an extent by the overall level of activity we're seeing in the market. "While the market was expected to remain competitive for some time, Ms Cranston said one of the positive signals was the substantial increase in the number and diversity of tenants over 3,000sqm. "Many are taking the opportunity to come to the city from other lesser, fringe locations and capitalising on quality stock," Ms Cranston said. By industry, Sydney is following the global trend identified in the Global Office Rent Cycle report, with IT companies leading the charge. Ms Cranston said IT companies had accounted for close to 20% of the enquiry fielded by CBRE in 2104 - a trend that was expected to continue throughout 2015. IT enquiry rose by 55% between 2013 and 2014, which corresponded to a huge 221% increase by size. CBREOffice Service's latest Sydney market analysis highlights that 2014 was a transitional year for the Sydney CBD office market with deals increasing across all tenant sizes. The strongest performing market segments were the 2,000sqm+ size bracket, with deals increasing 55% by area and 29% by number, and the 501 sqm-1,000sqm size bracket, where the number of deals increased 42%. Particularly sought after was fitted out space, with CBRE's review highlighting that 61% of deals that occurred last year involved fitted out offices. Ms Cranston said this had either involved "legacy" fitouts from the previous tenant of space where the landlord had undertaken a speculative fitout to boost tenant enquiry. "As a landlord, if you're competing in a sea of 200 other options, it's a matter of how you stand out - and a strategy that has worked particularly well for landlords is to undertake a speculative fit out," Ms Cranston said. In some sense, the CBD presents as a two-tiered market with extensive choice for tenants under 2,000sqm - in the order of 200 options, while there are fewer than 10 options for tenants of 5,000sqm or more. It's this discord between demand and supply that is keeping commercial terms highly competitive. "We are still seeing deals done with the majority of incentives over 29-30%, this is unlikely to change during 2015 while competition remains to extensive."